Easy to make and near no bake, these fudgy peanut butter brownies are a simple, yet deliciously rich dessert. A cool dessert to beat the heat! 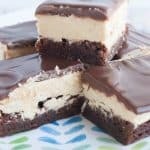 These fudgy peanut butter brownies are awesome! They are peanut buttery, chocolatey and will definitely satisfy your sweet tooth! I usually cut these in at least 30 pieces because they are so rich. 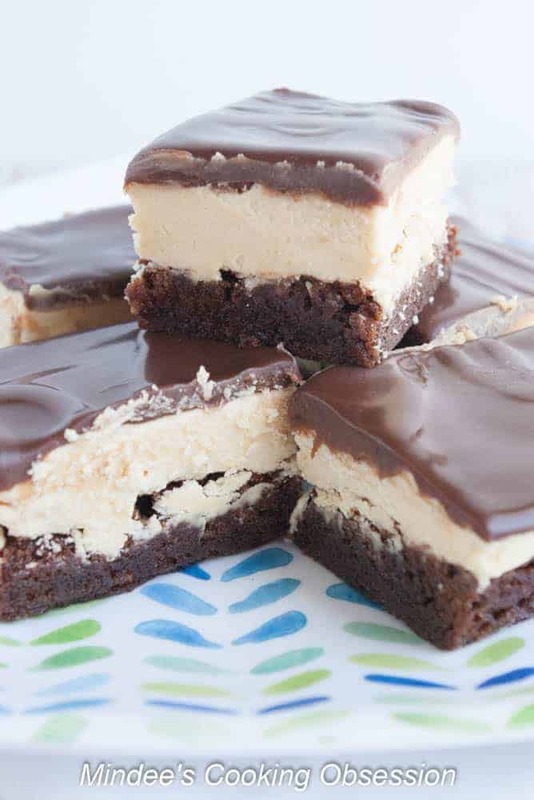 You’ll love how the brownies and peanut butter filling are topped with chocolate ganache. These are really easy to make and the only part you have to bake is the brownies. So I have to admit that I had total brain failure when I made these. I had intended on using my 9×13 cake pan because the depth of the pan accommodates the layers for this dessert. I went ahead and made the brownies in my sheet pan 9×13. I didn’t even notice what I did until after the brownies were cooked so I just went with it. However, for best results I recommend a 9×13 baking dish. So the first layer is a 9×13 pan of brownie just from a mix. Whenever mix you want to use is perfectly fine. Mix’em, bake’em and cool’em completely. Beat the ingredients for the peanut butter layer together until it is well mixed and spread over the cooled brownies. Place pan in the fridge to chill. Heat the cream carefully until hot. Stir in the chocolate chips and continue to stir until all the chocolate chips are melted. 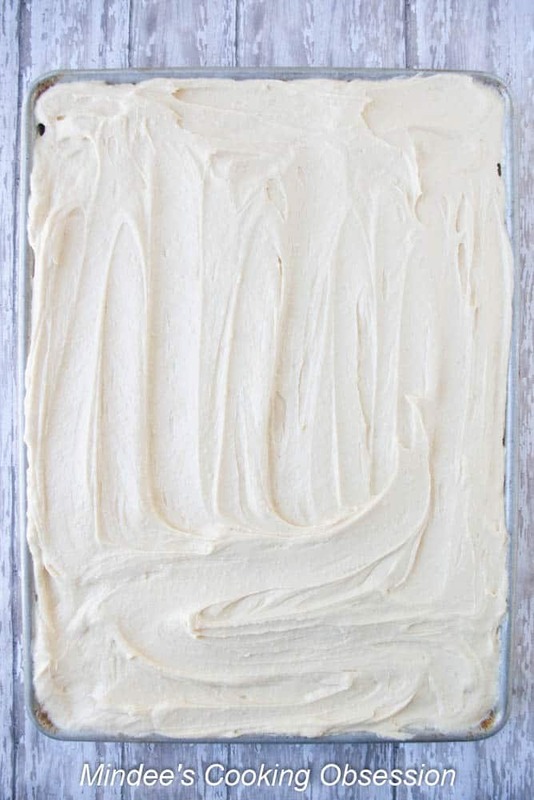 Pour evenly over the top of the peanut butter layer. (See this is where I needed to have made this in my baking dish instead!) Chill in the fridge for 4 hours before serving. Cut into 30 squares. 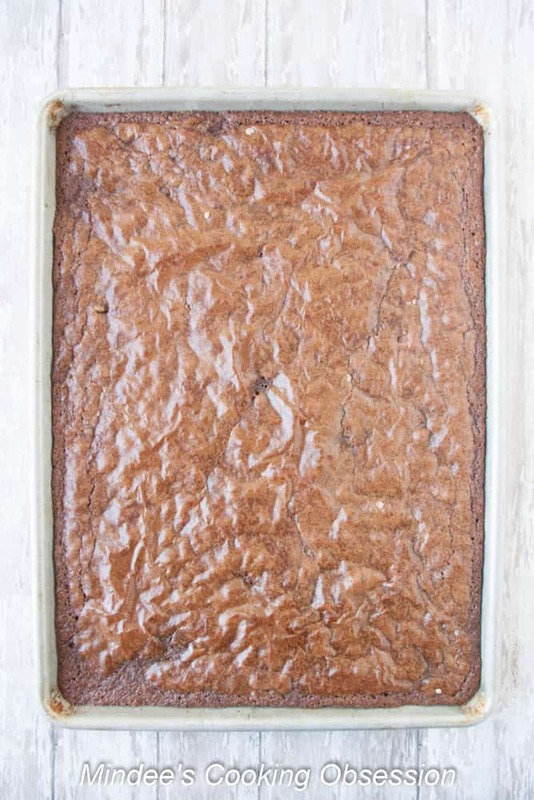 Prepare brownies according to package instructions in a 9×13 cake pan. Cool completely before moving to the next step. Beat the butter and peanut butter until well mixed. Add the pudding mix, milk and powdered sugar. Beat until smooth. Spread over the top of the cooled brownies and place in the fridge to chill. Heat the cream until hot either on the stovetop or carefully in the microwave. Stir in the chocolate chips and continue to stir until all the chocolate chips have melted and the ganache is smooth. 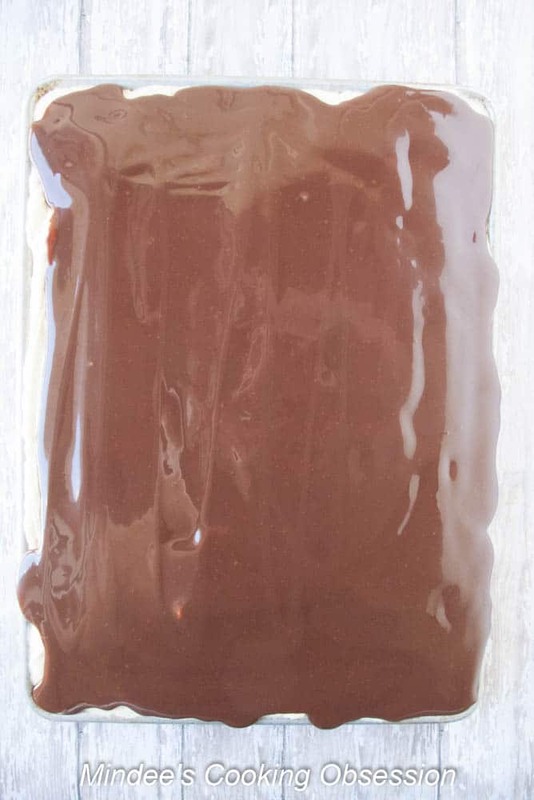 Pour over the peanut butter layer and chill for 4 hours before serving.